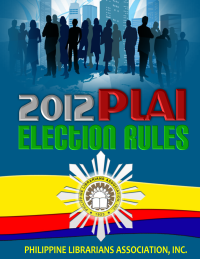 Registration fees (Php4,500.00) are waived to enable them to attend these activities. Sponsorship Awards to attend Local/International Seminars or Conferences Purpose: To foster professional growth by enabling at least two PAARL regular members each year to attend a local or an international seminar or conference. Nature of Grant: PAARL may grant complimentary registration to any locally-sponsored seminar or conference, or in the case of attendance in an international conference, grant the maximum amount of PhP 10,000 to cover transportation cost or registration fee. Requirements: Awardee must render a report and/or conduct an echo seminar upon his/her return from said seminar or conference Selection process: Any member of the Board may nominate or receive nominations for screening of the Scholarship Committee, which in turn submits a list of qualified nominees for approval of the Board of Directors.